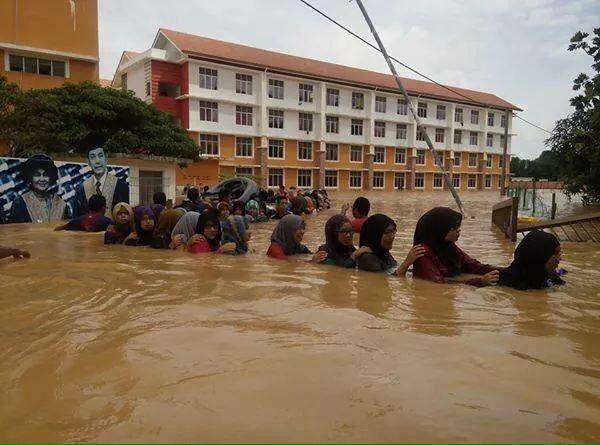 Universiti Malaysia Kelantan Banjir, the word Banjir means Flood. Universiti Malaysia Kelantan (UMK) distributes more than 250 food aid kits to flood victims in Kampung Simpangan, here, today. Assistance is given in collaboration with the telecommunications company Celcom Axiata Berhad. 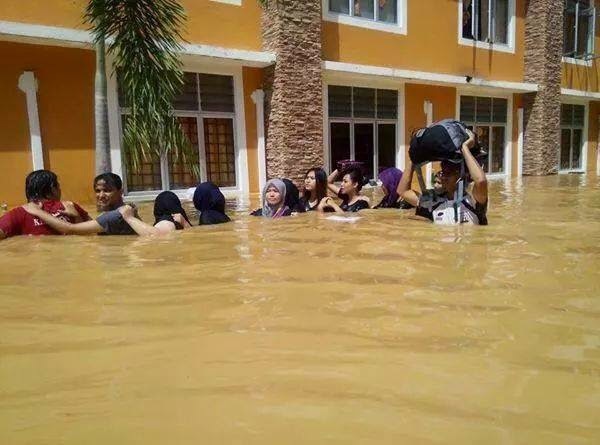 Universiti Malaysia Kelantan (UMK) vice-chancellor, Prof Datuk Dr Mortaza Mohamed, said 50 volunteers including university students participated in the relief mission. 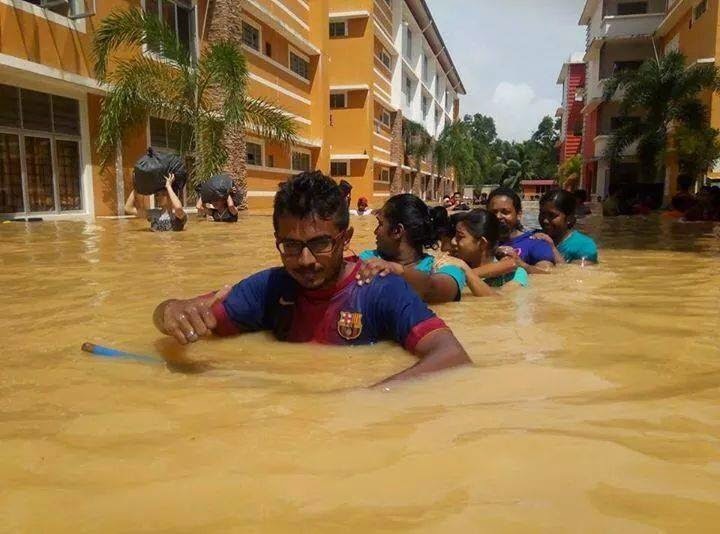 “Mission driven every time the flood hit the state is part of a corporate social responsibility (CSR) activity involving students and university lecturers. “The mission begins today involving 20 volunteers from affected schools starting at Sekolah Kebangsaan (SK) Simpangan, Tumpat,” he said. He was speaking at a press conference after the Universiti Malaysia Kelantan (UMK) Flood Relief Mission & Celcom Axiata Berhad here today. Also present were Tumpat UMNO Acting Head Datuk Mohd Rosdi Ab Aziz, Mat Razi Mat Ail State Assemblyman and Government Relations Director, Vendor Axiata Berhad Vendor Saiful Bahrin Abdul Ghaffar.